How to open and save a text file in Microsoft Excel throught LabView? Hi! Does anyone know a way to open and save a text file in excel through Labview? I was using Activex functions and I had success opening the file, but when I try to save it directly in excel I cannot. Below is the code that I am using, I'm pasing the path of the text file. Thanks in advance for any help! 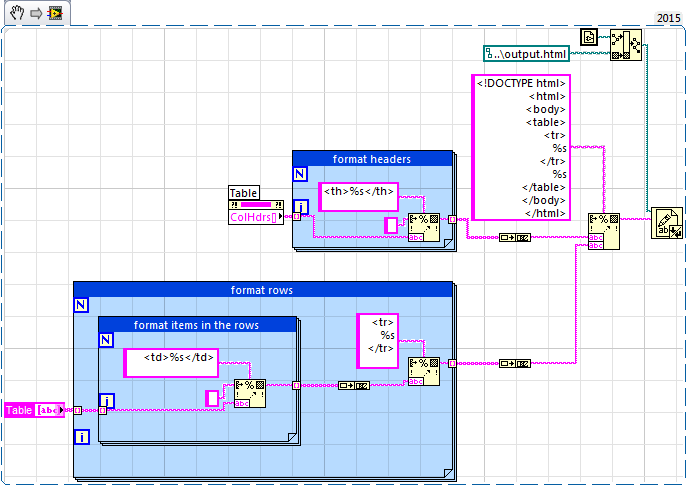 Re: How to open and save a text file in Microsoft Excel throught LabView? Arkadiusz provides a good method of handling excel files but was is your use case? If it is a simple text file you could use a native LV primiitves to handle that. This Tool from the Toolsnetwork should help:http://sine.ni.com/nips/cds/view/p/lang/en/nid/212056 - it's easy of use, do not need Excel installed on the PC and it's much faster than thrue ActiveX. It's worth every Dollar and you can try it for 30 Days. Hi! GPiotr, I am using Activex to grammatically open the text file (.txt) in excel. My problem is that I would like to save that file as an excel file, but for some reason I am not able to save the file directly from excel. 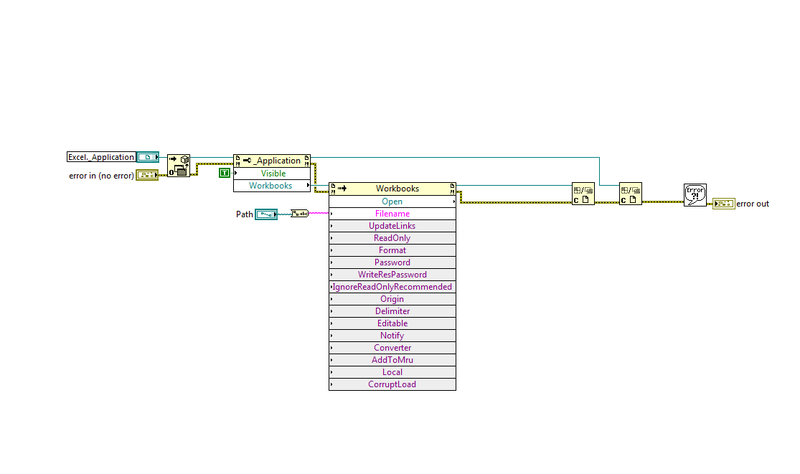 So I am trying to find a way to convert that text file in an excel file in labview. My project is about decoding a binary file and save de decoded information in a text file, the problem is that create a format into a text file is really difficult, so my text file is separated by tabs and when I open it in excel all the information looks good. For this reason is that I need to read and save this text file in Microsoft Excel. If you need to analyze the data later on in excel the method that Arkadiusz suggested if for you. If you only need to present data I would suggest something like html file. It does not require any third party applications except from the web browser and will work on any device.